uli langthaler was born 1959 in Linz, Austria. 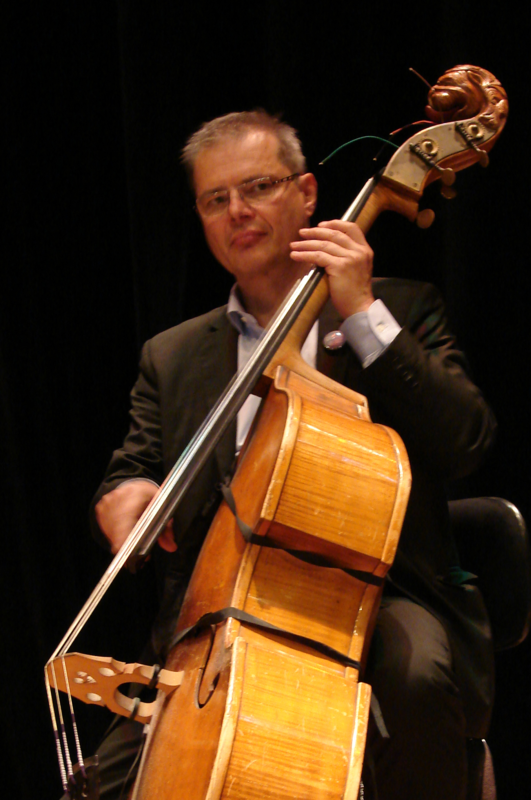 He studied bass with Rudolf Hansen at the Conservatory/Private Music University of Vienna. From 1987 to 1991 he was a member of the “Orchester der Vereinigten Bühnen Wien“, the orchestra of all major music productions in Viennese theaters. Since 2008 uli langthaler has led the ensemble “Kent Langthaler 7”, a band consisting of a rhythm section and four horn players. In 2010 he co-founded triple ace – colours in jazz together with oliver kent and dusan novakov. Since 1990 uli langthaler has taught jazz bass, ensemble and improvisation at the Conservatory/Private Music University of Vienna and at the Music Conservatory of Carinthia. Copyright © 2019 triple ace - colours in jazz.